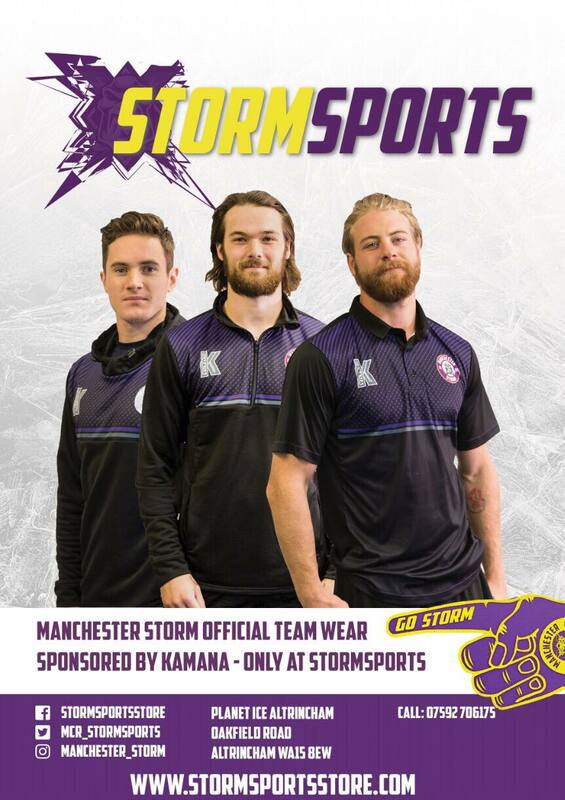 NEXT HOME GAME: The Go Goodwins Manchester Storm face the Coventry Blaze at the Storm Shelter this Sunday (5pm face-off). Tickets can be purchased online by clicking here, calling the box office on tel:0161-926-8782 or on the day at the box office. As for us, we look back at another two point weekend. This past Saturday was another tough defeat to swallow at home. We had a very tough first period, which saw us concede more than we ever should in the opening 20 minutes of a game. Dundee started the game strong and we also had a few unlucky bounces that didn’t go our way. The final two periods we played really good Storm hockey. We were using our speed, putting pucks deep and doing the small things that make our team successful. We were down 5-1 during the game and we came back and made a game out of it. Unfortunately, the end result wasn’t there, but I am reinforcing the importance of playing a full 60 every night to our guys. On Sunday, the boys executed the system perfectly and had committed to the details to win us the game. Belfast are one of the big hitters in our league, and it’s not an easy trip both in terms of travel & also the quality of opposition. We kept things simple and we competed hard for 60 minutes, which is the bare minimum of what every fan, coach, GM & owners ask of their team. We only had four defenseman for 55 minutes of the game and had a few forwards playing with injuries too, so I’m very proud of all the guys for fighting hard the entire game & skating away with the 2 points on the road. This result can be a catalyst for the rest of our season. A very special moment was to see Mike obtain his first win as a Coach. Everyone was thrilled for him. He has settled back into life with the Storm superbly well. As a club, we are still looking for consistency night in and night out. While we are saying this, 90% of the teams in the league are probably saying the same thing. The league has improved dramatically from recent years and the parity in this league is incredible. It will be important we get some rest and hopefully get our injured players back for the weekend. We will work hard this week at finding solutions to make us get out of this drought we have at home. All the boys want to take this opportunity to thank all the fans that came to Saturdays game but also our away fans on Sunday that made the long trip to Belfast. We appreciate it massively. 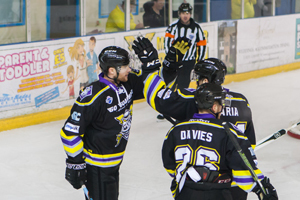 We look forward to seeing all the fans back at the shelter on Sunday at 5pm against the Coventry Blaze. Bring your friends, family members, work colleagues and let’s build on the already great #StormShelter atmosphere!